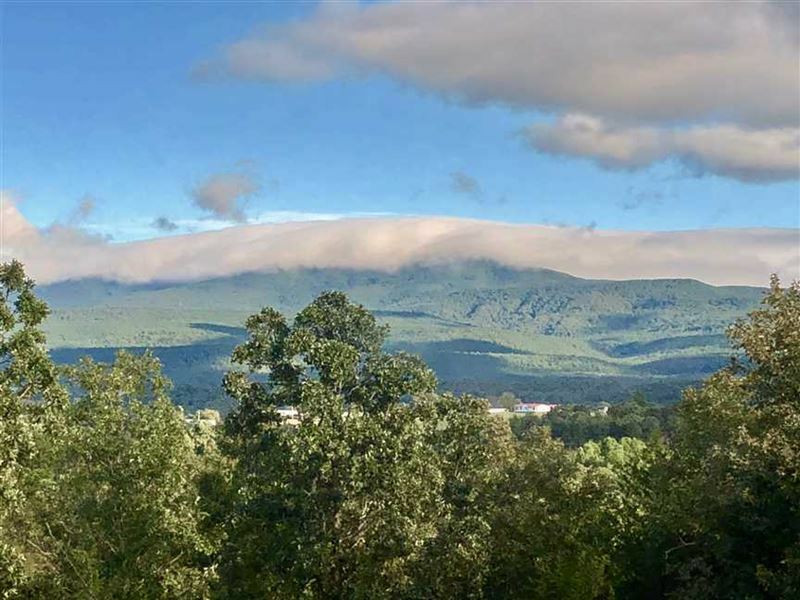 This mixed use residential, recreational nearly 6 acre property in Logan County Arkansas boasts an absolutely beautiful log home with amazing scenic views of Mount Magazine. The home has 2 bedrooms, 2 bathrooms, laundry room, 3 separate air conditioning units, pellet stove, and comes completely furnished. Quality construction is this 1787 Sq. Ft. house built in 2016. This property is separated from the National Forest by one small lot, giving you access for endless opportunities and public land access. Great whitetail deer, turkey, bear, and small game hunting. Enjoy nature at its fullest with ATV trails, hiking trails and all that the National Forest offers. Good road frontage to the home as well as a 30 x 24 metal building, fully insulated with heat/air and full kitchen. This can be enjoyed as a workshop, man cave, or potential rental income. Don't miss out on this opportunity. Call Mossy Oak Properties Executive Broker at to schedule a showing.